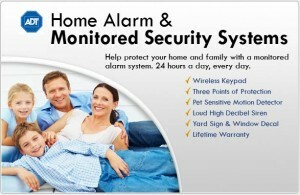 Most homeowners, at some point, become concerned with the security systems in their homes. It may not always be the first thing that comes to mind when buying a home, but it is definitely one of the most important aspects of home ownership and must be dealt with at some point. Generally, this is fairly simple – you can just contact an established security company like ADT and get professional advice and help with installing a thorough, effective security system. However, some of the details will still be up to you. For example, many people fail to consider the importance of securing their basements, when in reality basements are often the most vulnerable parts of homes. Here are a few words on how and why to secure your basement. If your basement has windows above ground, then it is likely anyone considering breaking into your home would consider these windows as ideal entry points. No criminal wants to be conspicuous, and sneaking in through the basement is one of the subtlest ways to approach a home. Therefore, you will certainly want to talk to your security company about installing additional locks on these windows. You may also be able to work out your alarm system to be wired to your basement windows, and if you truly wish to be thorough, you can install shatterproof glass for them. All of these precautions can make your basement far more difficult to break into from the outside. The other danger of basements as entry points is that they can provide good hiding places for criminals. It isn’t pleasant to consider, but imagine for a moment that during the day, when your home may be less secure, somebody could sneak into your home and hide in the basement until nighttime in order to have a chance to burgle your home. For situations like this, you may also want to consider installing motion detectors in your basement – that way, even if someone managed to hide there, when your system is turned on at night, no one will be able to prowl in your basement. Again, the basement may not readily come to mind when you are considering ways to secure your home. However, both because basements can be good entry points for criminals, and because many people keep valuable possessions in their basements, it is important to secure these spaces just as thoroughly as the rest of your home. You certainly won’t regret it, and it may one day be the difference between protecting your home, and the people inside it, or not. All it takes is a few simple precautions.